In this section you will learn how to start a home fitness program for beginners, so that you can become fit and healthy by taking control over your own fitness plan. Making the decision of where and when you will exercise is a very important step in reaching your fitness goals. Many factors will go into this decision, and each one should be evaluated carefully before you begin an exercise regimen. Once you have made a decision on where you will exercise, you can start planning your workouts. 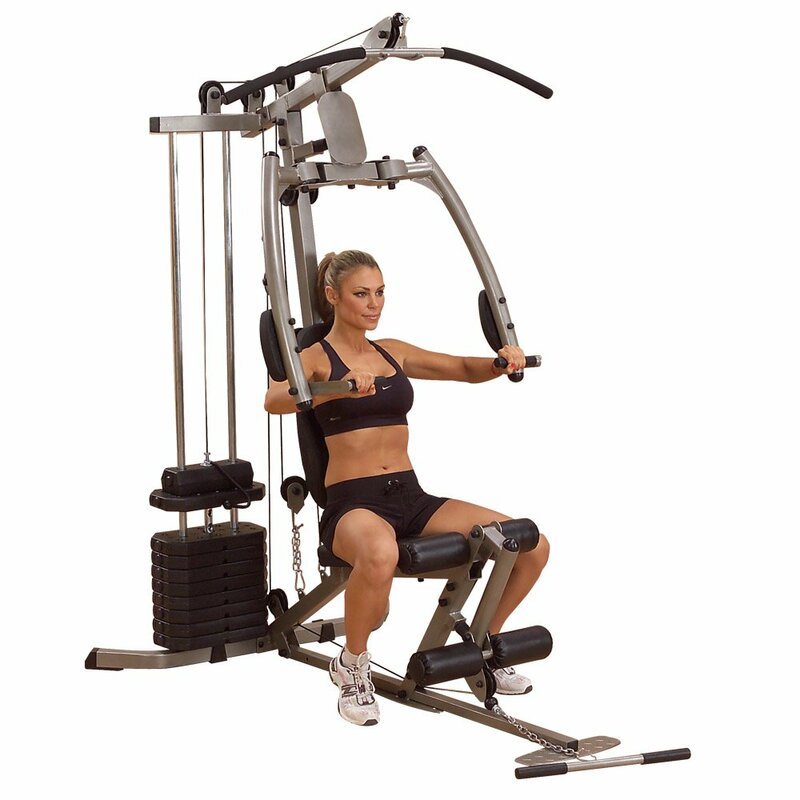 You also need to consider what sort of equipment you may want to set up in your home gym. Many workouts can use items around the home already, but some forms of exercise require specialist equipment. As you probably know, exercising at home has many advantages. The financial savings is one of the biggest advantages. With time restraints and the gas prices being what they are today, it is quite obvious that you'll save time and money on fuel as well as wear and tear on your vehicle by choosing to exercise at home. Memberships to a gym can often be quite expensive and may include other things that you don't need such as child care or swimming pools. You also won't need to be concerned about the latest trends of exercise gear as you most likely will be exercising by yourself at home. Keep in mind that working out at home does require some financial commitment. Even if you only plan to jog, it is very important that you have high quality running shoes. This applies to any type of equipment that you may purchase to use at home. Keep in mind that if you go out and buy cheap equipment, you'll probably end up getting frustrated because you aren't making any progress or even injured from faulty equipment. Along with the financial savings, exercising at home is also good for those of us who don't like to work out in public. If you are worried you can’t keep up or about how you look in gym clothes, it can be very comforting to know that no one else will see you until you’re ready for them too. Another benefit, when you exercise at home, you don't have to worry as much about trying to fit a trip to the gym into your busy schedule. On the other hand, if you who are motivated by being with people while working out then a gym may be a better bet than working out at home. There are also extra-added benefits of going to the gym. For instance, you will have a larger selection of equipment, access to professional trainers and most gyms will offer classes that you may find very motivating. Bottom line, when it comes to making the decision of whether or not to exercise at home or at the gym the choice should be based on your goals and personal preference, so that you can determine what type of environment you will work best for you. Once you have given it some thought and weighed out the pros and cons, you'll have no problem making the choice. Keep in mind that once you've made your choice, you can always change it, if you aren't happy with the choice you made. When it comes to planning an effective exercise routine, it is important to choose the proper exercises for your fitness level and your schedule in order to achieve the best results possible. Knowing a few basic fundamentals will help provide you with a good idea of what may and may not be considered a good addition to your own training regimen. Cardio exercise helps strengthen the heart muscles, the lungs as well as improve overall endurance. It can also help the body burn calories more efficiently which in turn aids in losing weight. However, not all cardio training programs are created equal and won’t work for everyone. A good cardio routine should be set according to a person’s personal fitness level, which can vary greatly from person to person. However, the general rule says it should consist of at least 15 to 30 minutes of physical activity per session, 3 to 5 days a week and it should become a regular part of your overall fitness routine. To achieve the best results possible you should get your heart to reach 70 to 90 percent of your target heart rate. Flexibility and stretching exercises are meant to improve overall health and are considered by most fitness experts to be one of the most beneficial and over looked forms of exercise. In fact, many people never even bother incorporating them into their daily activities. Nevertheless, having them as part of your regular part of your fitness program can help promote better movement and improve flexibility and promote better muscle relaxation, especially after a cardio or strength work outs. When it comes to stretching the different muscle groups, it should always be practiced while they are warm in order to be effective and prevent injury. For instance, they can be done after performing warm-up exercises like simple calisthenics or after your workout, to cool down and help improve recovery time. Stretching the muscles is especially effective on tight muscle areas like the hamstring and the lower back. To achieve the best possible results they should be repeated at least two to three times a week although daily is the best practice. Keep in mind that stretching exercises should be done within your full range of motion. The right stretch will feel comfortable, not painful. Strength training usually involves working with free weights in order to strengthen the muscles, bones and the connective tissues surrounding them. It is an important addition to your routine because not only does it build muscle, it helps increase body metabolism and reduce body fat. Usually strength training involves at least 8 to 10 different exercises, each focusing on the different major muscle groups of the body. Building up the muscle strength in your lower back, shoulders, chest, and the arms can be achieved with a routine that include 3 sets, with 8 to 16 repetitions each, two to three days a week. However, it shouldn’t be done consecutively. It’s a good idea to alternate muscle groups on different days or allow rest periods in between your strength training sessions to help enhance muscle recovery and to avoid injury. 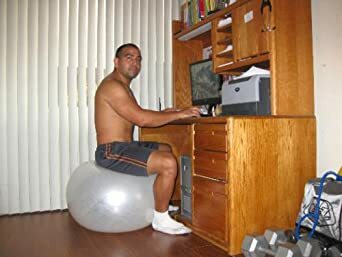 Many people do not realize they can stay fit and healthy by exercising while they stay at home with their families or because they work at home. It doesn’t matter whether you live in a home with lots of space and a large backyard, or an apartment or condo with limited space, you can always find ways to stay active. Does your home have stairs leading to the basement or up to a second level? Begin by walking up and down those stairs as many times as you can before getting too tired. Climb up and down your stairways every day, increasing the number of times you can make the climb. This will strengthen the muscle groups in your legs and core, as well as use enough energy to burn a lot of calories. You can create a home fitness routine to do while you clean house. Vacuuming, sweeping and dusting involves stretching, twisting and bending, and you will burn calories and build muscle if you perform these chores energetically, so don't forget to turn up the music for a little added encouragement. If you own a home with outdoor space, there are a number of fitness opportunities waiting outside your door, including in the chores you need to do anyway. Perhaps you have a lawn to mow. If your yard isn’t very large you can use a push mower that you can walk behind. This will force you to do a lot of walking, turning and bending at least a couple times each week during the summer months. If you want to take it a step further, purchase a mower that doesn’t have a motor to drive it and you will really get a workout. While this may seem like extra work, your reward will be a body that is fit, healthy, and when you are finished with the job you can sit in the shade and enjoy a cold drink. If you live in an apartment with literally no outdoor space of your own don’t worry, you can still get creative by walking in a nearby park during the warmer months and an enclosed mall during the winter. Keep in mind that it isn’t necessary to purchase a gym membership in order to create an effective fitness routine. By using the resources, you have at hand, like the nearest stairs, house and yard work, as well as taking advantage of community parks and walkways to walk, jog or run on you will be able to stay fit and healthy all year long. TIP: Make sure you have appropriate clothing and footwear when you begin your fitness journey. It is important to start slowly and build up to the fitness level you desire and remember to always consult your doctor before beginning a new fitness regimen. If you don't want to leave the house you can always look at buying some home exercise equipment like the Ironman H Class Upright Bike. Some people prefer riding a bike than jogging. Biking produces far less impact-related injuries than jogging. So, If you’re looking to either lose weight, keep in shape or have set yourself a particular fitness goal and don’t have time or any desire to go riding outside, then the Ironman H Class upright bike is perfect for you. This bike offers an amazing range of options at a very reasonable price and was designed with users’ comfort and optimum efficiency in mind. It’s got the best options available for a middle of the range price, which makes it even more attractive. Its solid frame can withstand up to 275lbs, which is perfect for those of you who are self-conscious about your weight and who may think that such upright bikes aren’t for them. When in use, the resistance system is totally silent so you can train without worrying about too much noise. CLICK HERE >> to learn more about the Ironman H Class Upright Bike! The bike is accessible to most users with a height limit of 6’4 and the seat can be adjusted for comfort during the workouts. It is also easy to move around on any surface and store thanks to its solid wheels. Furthermore, it is fitted with stabilizers to ensure maximum support, absolute steadiness and safety during your most demanding workouts and will prevent any shaking or even possible falls and tumbles. Thanks to the multitude of different predetermined workout exercise programs, you'll be able to handpick whatever training you wish. There is a selection of 21 different choices from beginners to mid and high-level workout plans so you’ll be spoiled for choice. Tracking and monitoring your progress all along will be easy with the computerized system that will display your exact practice time, the distance you’ve gone and how many calories you’ve burned during your sessions. As an added bonus, the “Recovery” feature will give you accurate and thorough information about your cardiovascular system and how it’s recuperating as you end your workouts. This is very innovative and useful especially after a maximal workout. The LCD console is excellent to track your progress and feed you top accurate information about how your sessions are going. It’s fitted with the latest technology and a modern design. The Ironman H Class Upright Bike is definitely one of the best fitness picks if you’re serious about indoor biking. It’s affordable, has a great reputation and offers excellent warranties. One of the simplest and most effective ways to bring down blood glucose levels, cut the risk of cardiovascular disease, and improve overall health and well-being is physical fitness and exercise. Yet, in our increasingly sedentary world, where almost every essential task can be performed online, from the driver’s seat, or with a phone call, exercising and being physically fit can be tough case to sell. The good news is that it is never too late to get moving, and exercise is one of the easiest ways to start controlling the onset of any kinds of diseases. For people who are already candidates for some serious diseases like diabetes and heart failure, exercise and physical fitness can improve the condition of some parts of the body like insulin sensitivity, lower the risk of heart disease, and promote weight loss. Certain complications of some diseases will also dictate what type of exercise program you can take on. The bottom line is that physical fitness and exercise should not have to be a rigid activity and should not come off strong. Your exercise routine can be as simple as a brisk nightly neighborhood walk, walking the dog, or simply taking the stairs instead of the elevator. The important thing is that you keep on moving. Every little bit really helps a lot. With the concept of staying fit and healthy dominating every part of society today, how hard you should be pushing yourself depends on your level of fitness and your physical health. You should kick off any new fitness plan with a doctor’s visit and their recommendations, regarding your physical condition and optimal target heart rate. You should also educate yourself and one way you can do this is by reading fitness magazines. That may seem silly, but they are a great way to keep up on the latest trends and techniques in fitness. They are also a great motivator and can help motivate you to start toning your thighs, biceps sculpting beautiful abs that you will be proud to show off. Fitness magazines are designed to provide you with current facts and information that you can use to improve your appearance, give you more energy and help you live a healthier lifestyle. Most fitness magazines provide you with straightforward, reliable information and practical tips about fitness. The topics may range from basic information about healthy foods to training advice from health and fitness experts. Another benefit of reading a good fitness magazine is that they are often filled with inspirational stories and true-to-life testimonials from successful people that can be very motivational. They also provide you with a simple, systematic approach to managing your own health and fitness. They are great sources of information and advertisements that focus on health products like vitamins, minerals, food supplements and other equipment that you may want to use to help keep you on your path to good health. e-readers like the Kindle and the Nook, making them even more accessible and interactive than ever before. You can even read and download some articles free of charge, as well as ask questions, post comment and engage with other readers of the magazine. Best of all, fitness magazines offer convenience. They pull together a collection of easy to consume information, tips and techniques that you can use to help stay informed, motivated and on track to your fitness goals. When it comes to choosing the right fitness magazine to suit your needs there are a wide variety available in topics ranging from running to weight training, yoga, Pilates and tennis. Some are written specifically for men, women, teens and seniors, so it really depends on who you are and what you enjoy. To find the one that is right for you all you have to do is search online or visit your local book store, where you will find a huge assortment to choose from. So if you haven’t subscribed to at least one fitness magazine the you should definitely give it a try. You may be surprised to find out how helpful they can be. When you talk about sports fitness, what comes first in your mind? Different types of sports activities, right? This is because sports fitness has always been referred to as the sports itself. Generally, sports entail physical activities that are carried out for a variety of reasons including, recreation, entertainment, competition, self-satisfaction, etc. Sports use physical activity that is why most fitness experts regard sports as an excellent way of staying fit and healthy. The only difference is that sports fitness is more focused on the development of skill and ability. Like any type of physical fitness, sports fitness is a great way to develop stamina, good muscle tone and get rid of excess body fat. Because most sports have strenuous demands and require specific training and commitment, sports enthusiasts often maintain a well-balanced lifestyle, so they can play the game better. Therefore, there is really no doubt that taking up a sport can be an excellent and fun way to reach your fitness goals and stay in shape. Of course you should always consult your doctor or healthcare professional before taking up a new sport the make sure that you are in good physical condition to begin. FACT: Humans can survive days, or even weeks without food, but they can’t last very long at all without water. Water is, the most important element needed by the body especially during times of moderate to extreme physical activity. Perspiration, without replenishing the lost fluids can and will lead to fatigue, serious health problems and even death. So don’t take any chances and be sure to drink lots of water. For avid sports enthusiasts, water may not be enough to replace the amount of fluid and nutrients lost during physical activity. Especially on, hot days. For those occasions a sports drink like Gatorade is a much better option. Aside from the fluid, sports drinks have two additional and important ingredients needed by the body: carbohydrates and electrolytes. In fact, they are the fastest way to replenish electrolytes lost during strenuous physical activity. The body also needs carbohydrates during time of rigorous activity, because they help provide more energy so that the body can keep up with the demands of the sport. 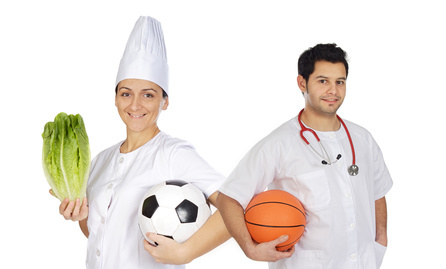 People who play sports should focus on eating healthy and adding more vegetables and fruits to their diets. This is because the body craves more vitamins and minerals during times of increase physical activity. A healthy diet makes the body stronger and healthier, enabling it keep up with demands of the sport as well as aid in muscle recovery. Since the body is enduring long periods of physical activity, it is important to protect it by getting enough calcium in your diet. Calcium can be found in different vitamin and mineral supplements. They are also abundant in foods like sardines, tofu and dairy products. As we have discussed before, doing warm up exercises are extremely important before any type of strenuous activity, especially when it comes to playing sports. By taking a few minutes to warm up before the game starts you can help prevent strain and injury to your body. So as you can see engaging in sports are a great way to stay fit and have fun at the same time. So why not find a good game you can play and enjoy the best of both worlds. As we well know before engaging in any type of physical activity, it’s important to warm-up properly and do some basic stretching exercises to prevent injury and enhance muscle performance during training. There are also several precautionary measures that you can take to help ensure maximum results. - Stretch before and after workouts. Almost everyone knows that stretching before a workout prevents injuries during exercise, but what some people don’t know is that stretching after a workout, when your muscles are still warm, can increase flexibility even more. - Holding your stretching position for 60 seconds or more. While holding each position for 20 seconds is enough time for a warm up stretch, holding them for at least 60 seconds each will develop the body's flexibility even further. When stretching try not to go into a stretching, position then immediately return to the relaxed position repeatedly. 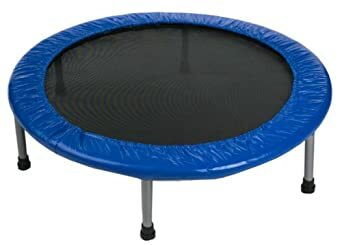 This is more appropriately termed as bouncing while in a position. As I mentioned above when stretching, hold your position for several seconds, and then slowly relax. Bouncing or forcing yourself into a position during stretching can strain or even damage your joints and muscles. We have discussed this before, however it bears repeating. It is very important warm up all your major muscle groups before you begin your workout. For some people, even if they exercise regularly they neglect to warm up and often totally forget their neck muscles before they exercise, which can lead to pain and injury that spreads down your entire back. Warming up the neck muscles can be as simple as rotating it in a circular motion a few times, switching directions and repeating the process. Workout according to your own fitness level. Don’t force yourself to do exercises that you are not ready for just because there are people who can do it. Increase your limits and endurance slowly. There will be days when your body may be too tired or sore to push the limits. When this happens, listen to your body, because it may be telling you it needs more time. Rest in between sets to make sure that the body has enough time to recover its energy before you move on. It is also a good idea not to work the same muscle groups consecutively, two or more days in a row. This is because muscles grow and recover during rest periods. Aerobic exercises are very important to your overall health. So as tempting as it may seem, don’t skip adding cardiovascular exercises, like skipping rope, running, swimming or playing sports at least 3 times a week. Music is a great motivator. It can help keep you going when you want to train for longer periods or to increase your endurance. You can turn up the radio at home or use and iPod, mp3 player, or your smart phone for fitness on the go. Just make sure to plug in your ear buds if you working out with others, so you don't disturb them if they don't like music while they exercise. There is no doubt that being active keep you healthy and strong. We all know that exercise is important for everyone, not just for people who want to lose weight. As we have discussed before, there are many little things a person can do to get fit and stay in shape, such jog or take a brisk walk every morning. Take up a sport like basketball, hit the stairs instead of the elevator, or sign up at a local gym and workout a few times a week. - Typically, people workout for three reasons. The first is that they are overweight and want to lose those extra pounds. The second is that they are underweight and want to add healthy weight. The third is because they enjoy physical activity and like to keep in shape. As we well know, the best exercise plan should include cardiovascular and weight training exercises. FACT: (You know I have to say it!) Just like taking a new medicine, you should first consult your doctor before beginning any new form of exercise. Now let’s go over some of the big benefits of regular exercise. - It is the easiest way to maintain and improve your health and help protect yourself from a variety of diseases that can lead to premature death. - Studies have shown that regular exercise makes a person feels happier and increases their self-esteem and helps alleviate and even prevent the onset of depression and anxiety. - An active lifestyle helps you live longer than a person who doesn’t exercise at all. Keep in mind that if you haven’t worked out for a while you should start slow and build up your endurance gradually. You should do the same when it comes to changing your diet. It takes time to break old habits, so be patient with yourself. If you find yourself struggling, you can and should consult with a dietitian to help you plan a healthy eating plan. They will begin by evaluating your health, lifestyle and then create a plan specifically tailored to your needs. This consists of two things. The first is carbohydrates, which can come from oats, rice, potatoes and cereals. The second is fat which should come from mono and poly saturated food sources rather than animal fats. Since fat contains more than double the number of calories in food, this should be consumed in small quantities to gain or lose weight. It is also a good idea to eliminate unhealthy habits like smoking, which we all know has been proven to cause lung cancer, other diseases as well cause complications for women giving birth. Excessive drinking has also shown to do the same, so think before you drink. Biking is excellent to lose weight and work on your leg muscles as well as your abs. Injuries are rare since it is a low impact form of exercise contrary to running for instance. However, you do need quality to obtain results and since exercise can sometimes get boring you want to make biking at home fun and modern. 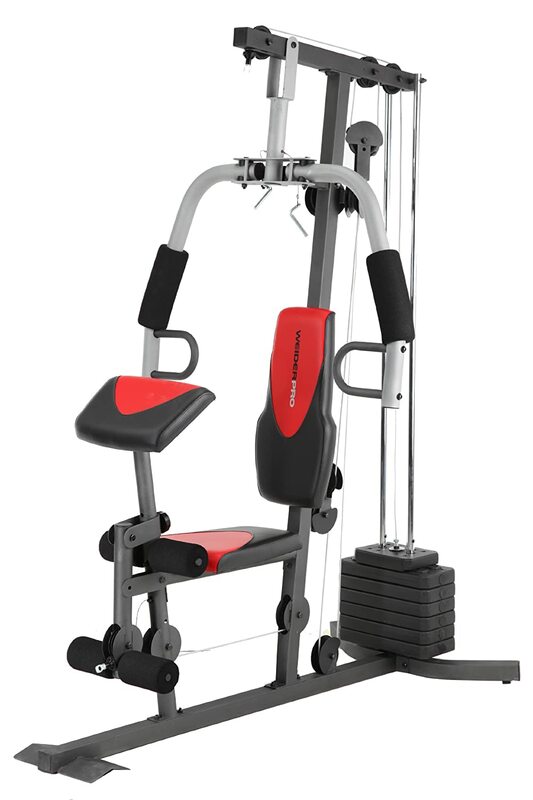 If you’re looking for good quality folding magnetic upright bike but are on a tight budget, then you should consider the Best Choice Products Upright Bike. This home stationary bike was recently upgraded and offers a lot in terms of quality and exercising options for a more than decent price. The frame of this upright bike is extra solid. It allows for some serious workouts whatever your level. The traction wheel can sustain the most strenuous workouts for prolonged periods of time and long lasting, silent and steady workouts on The Best Choice Product Upright Bike will make you feel like you’re actually cycling for real. Because you know it’s solid, you won’t hesitate to give it your best and train in complete safety. During your sessions, you’ll be able to check the different data- it is equipped with a top of the range console that will provide you with the information you need to know about your biking sessions. If you’re on a mission to lose weight, then all you have to do is set yourself a goal thanks to the selection of predetermined exercise intensity levels. The bike can accommodate users weighing up to 290 pounds so if you’re overweight, it won’t be a problem. There are a total of 8 such resistance exercise options for you to choose from. What’s good with such stationary bikes is that you can gradually increase the intensity and resistance to reach higher fitness goals. The seat is extra comfy and depending on your size and height, you can adjust it for more comfort as unadjusted seats can lead to strains and injuries. The pedals have been carefully designed to avoid slip-off incidents and will fit most shoe sizes. To ensure a better stability, the Best Choice Products Upright Bike has heavy but discreet stabilizers in placeto prevent unbalance, which can also become a serious health hazard if the bike tips over. Needless to say, it’s also much more comfortable and convenient to be able to pedal on a thoroughly stable bike. Not everyone lives in a mansion or has a personal gym so its folding mechanism will allow you to store it away somewhere when you’ve finished your workout. As an added bonus, you can move it around your home thanks to a set of wheels fitted under the bike. This means no more heavy lifting, which can be just enough to put you off training for good. Finally, this high-quality bike comes with the most modern options at a price that everyone can afford, so why not give it a try? Tips for maintaining your fitness while you’re on the go! If everyone had a normal, consistent schedule that allowed daily trips to the gym or other forms of regular physical activity, staying fit wouldn’t be such a big problem. Unfortunately, more and more people find themselves traveling further and working longer for their jobs. In fact, many people spend the majority of their week on the road, which makes keeping a consistent exercise schedule nearly impossible. If this type of schedule sounds familiar to you then you know that maintaining a good level of fitness on the go takes a lot of consideration. Fortunately, there are some simple ways that you can maintain your fitness level even if you spend most of your time on the road. You just have to get creative and plan ahead. Basic calisthenics are something you can easily do almost anywhere, even if you are in a hotel room. You should also consider exercise programs that incorporate using your own body-weight as resistance. They can range from the easy to the very difficult depending on your skill level. One program that incorporates this type of exercise is Crossfit. This program has something to offer almost everyone, from the beginner to the expert athlete. Push-ups, sit-ups, squats and other simple exercises, especially when performed fast, without rest, can provide both strength and endurance training. This is plenty to maintain your fitness on the go. An often-overlooked way to keep up your fitness routine on the go is the simple act of walking. You can start by taking a short walk before or after work, or on your breaks. If you travel to new places often, a brisk walk around town offers the dual benefits of fitness and sightseeing. Did you know that a simple thirty minute walk gives you time for a heart-pumping two mile walk. If you are short on time try breaking it up in to two fifteen minute walks or even three ten minute walks. If you belong to a gym franchise close to your home, like LA or Anytime Fitness check to see if you are eligible for a temporary pass in other locations closer to work or where ever happen to be. Many chains allow you to use any member gym, and others offer cheap day passes. If you prefer a more complete gym experience, this is a great way to maintain your fitness when you're away from home. If you find yourself far away from home keep in mind that, most hotels have at least a basic fitness facility on the premises. This may be as simple as an exercise bike or treadmill and even though that may not be enough to maintain the fitness level of a professional athlete, it is definitely enough to fight off the effects of a sedentary lifestyle. It's easy to make excuses not to exercise, especially when you're on the go, but there is no reason to neglect your fitness just because you're busy. Use your imagination to find ways to keep active on the go and stay healthy, regardless of the demands of life, because will make you feel good and look good too! Whether you’re a seasoned or beginner runner, choosing a treadmill that will fit your needs should be a priority. Running is without doubt one of the most rewarding sports activity to lose weight or stay in shape. And best of all, you can practice indoor if you possess one like the ProForm Pro 2000 Treadmill. It is a solid folding running machine that offers some of the best features like the top professional treadmills you usually find in high-end gym clubs. You will be able to enjoy a very select number of various exercises as it comes with over 30 different workout programs ranging from walking to speed running. Some even recreate routes and marathons around the globe but you may also create your own and add it to the system. The motor is fitted with a continuous horsepower which capacity goes far beyond the normal standards found on most treadmills. 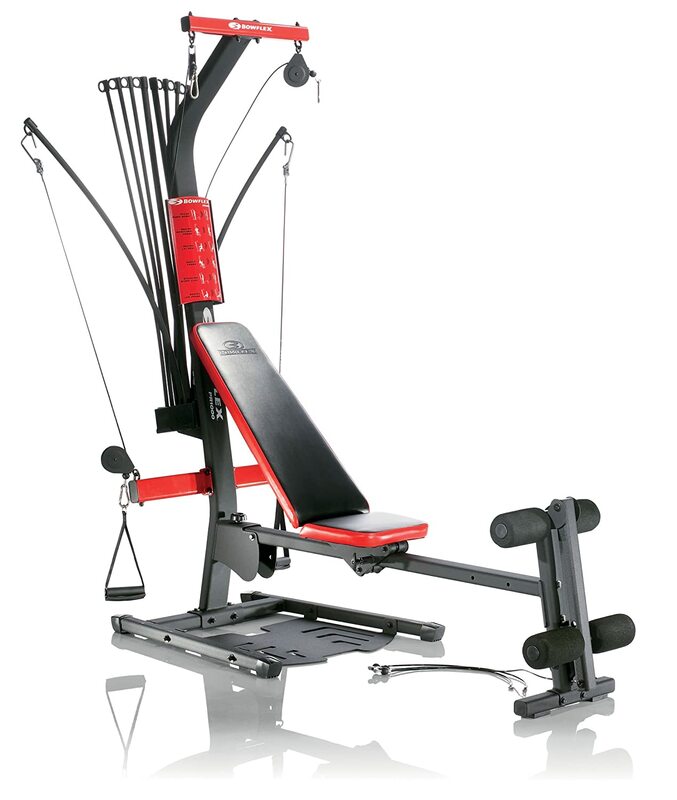 This will ensure powerful workouts without running the risk of damaging the motor or any other parts. Runners looking to train hard whether it’s for a marathon or simply to reach a personal goal or challenge will be able to use the 32 workout options available. And with a maximum speed of 12 MPH, it’s again beyond what other running machines usually offer. However, no one is exempt from injuries and that’s why you want to make sure that you’ve selected a reliable machine that is in line with you fitness goal. This running machine is equipped with one of the best cushioning system to keep running-related injuries at bay. It also has a very wide running surface accessible to all and with a maximum weight capacity of up to 300 pounds. You can also choose the incline or decline option rapidly in order to maximize your cardio workout and improve your overall performance. The ProForm Pro 2000 Treadmill is also equipped with a fan so that whenever you break a serious sweat, you’ll be glad to get some much needed refreshing air to help you carry on your session. Finally, the large console is perfect to track your progress and evaluate your speed, how long you need to run and much more. It’s also fully compatible with most digital portable equipment. Whenever you’ve finished, you can fold it very and store it away until your next session. One of the biggest obstacles to staying on the path to good fitness is lack of motivation. The simple fact is that the majority of people who start an exercise program often find themselves quickly getting bored of the same routine. Keeping exercise engaging and maintaining a perspective on your fitness is key to long-term success. Just imagine if you had to watch the exact same episode of your favorite TV show every day for the rest of your life, you would probably end up banging your head against the wall by the end of the week. You would probably change the channel, pick up a book, or do anything you could to avoid something you once enjoyed. Yet, many people on a regular fitness program feel compelled to follow the same routine, day after day after day, and consequently fall off the exercise wagon due to sheer boredom. In fact, that is why many people seek out the services of a fitness trainer. In hopes that they can provide them with different options to help them stay on track and reach their fitness goals. Fitness trainers are experts at analyzing and creating a fitness plans. They will evaluate your fitness level, and create the program according to your specific needs, as well as help keep you motivated by giving you activities that will keep you on track and eliminating any chance of boredom. But then again, as with other entities included in the fitness world, not all fitness trainers are created equal. They may vary from the different trainings that they have, the health education they have acquired, and the skills that they have learned. However, finding the perfect fitness trainer isn't always an easy task. It is important to consider certain factors that will help you determine if a trainer is right for you. Like shopping for any product, hiring the service of personal trainer is often determined by their level of training as well as their certifications. Therefore, before you run to your local gym and I are the first trainer you see it is a good idea to verify their qualifications and make sure that they are certified by a well-regarded fitness association. Look for a trainer who has well-rounded education in physical fitness as well as a few years experience under their belt. You will also want to see if they have the required first aid qualifications and CPR certification, just to be on the safe side. A good trainer is willing to provide his or her client with undivided attention whenever they are in a session. You want to hire a trainer that is willing to focus their attention on you specifically and not several clients at one time. After all, you're paying for their time and it should be dedicated to your success. It is best to choose a fitness trainer that knows how to track their client’s progress as far as fitness is concerned. This way the trainer will be able to create and target challenging new activities that would help you achieve the results you desire. Since you will be working closely with your trainer on a regular basis, it is a good idea to look for someone with a compatible personality that you will be comfortable spending time with. You don't want to work with a trainer who makes you feel uncomfortable or self-conscious because it will only sabotage your success. When it comes to getting a good workout, we all have time restraints, so it only makes sense that we do everything possible to make the most out of the time we have set aside for exercise. So here we are going to discuss some simple ways that you can enhance your results without increasing the time you spend on it. If you play a sport that requires a full sprint, remember that a full sprint strains the muscles of the lower body. To combat this and build up your endurance try doing some stop-and-go exercises. For example, run 30 meters at about 80 percent of your effort, slow to a jog for five to 10 meters, then run again for another 30 meters. Repeat this process five times. Did you know that three out of four ACL injury occurs when you land or turn wrong during physical activity? Practice keeping your knees bent instead of straight while exercising. This will help reduce the impact on your joints as well as your risk of injury. Heatstroke is more common than you think and if and easily cured. Therefore, it's important to reduce your risks as much as possible by staying as cool as possible during your workouts and remembering to stay properly hydrated. Remember to drink at least eight glasses of water a day and even more in extreme temperatures. You can also help beat the heat by keeping a couple of wet towels in your cooler and draping them around your neck to keep your temperature down. Always make sure that your equipment is in good working condition and fits properly to help avoid unnecessary strain or injury. The extra money spent on proper equipment goes a long way. Bad technique is just as bad as faulty equipment. When you are performing, your exercises make sure that you are using proper form, so that you can avoid stress, strain and possible injury. If you're not sure how to execute a particular move it is a good idea to seek the advice of a coach or trainer, because doing them the wrong way can lead to temporary and long-term damage. If you're having trouble mastering a particular exercise keep in mind that the camera doesn't lie. Try taping your workout session and then watching it back, so that you can see where your strengths and weaknesses lie. This would help ensure you are using proper form and constantly the improving your technique. You can even show the tape to your personal trainer so that they can critique your performance and point out areas that need improvement. Even a slightly injured rotator cuff can shut down the function of a shoulder. To avoid this you should include warm-up and stretching exercises designed specifically to protect your rotator cuffs. Did you know that wearing a custom-fitted mouth guard can reduce the risk of injury during physical activity by as much as eighty two percent. Inquire about ultrasound needle therapy. This procedure is done by using ultrasound to guide a needle. The needle smoothens the bone, breaks up calcifications, and fixes scar tissue. Thirteen out of twenty patients saw improvement, and the session only takes about fifteen minutes. - Buy your running shoes after work. Always shop for shoes near the end of the day, especially running shoes. This is because in the evening your feet are swollen for being on them all day. This way you be sure that you will have a comfortable fitting shoe that won't be too tight after a long walk or run. By wearing shoes that fit properly it can also help reduce wear, tear and possible injury. Whether it’s walking, running, biking, or skiing, be sure that you perform a dry run down any path you plan to take, especially if it's your first time traveling it. Because when you're familiar with the route it can help reduce your risk of injury substantially. Creating a home fitness program is simple once you do some research. 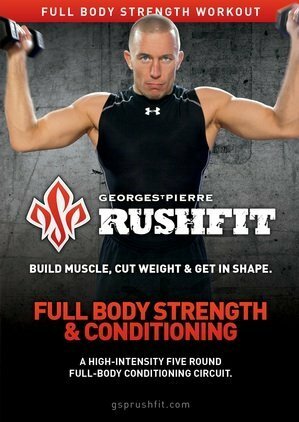 This site has more pages about specific exercise styles like Pilates, Yoga and Burn fat workouts. As we know, there is a lot we can do to stay fit, like taking a walk in the morning, playing a sport like basketball with friends or working out at the local gym. We also know that physical activity helps us maintain and improve our overall health as well as protects us from a variety of harmful diseases that can be debilitating or lead to premature death. It is also proven to effect mood, alleviate stress and make you feel happier. It increases self-esteem and can prevent the onset of depression and anxiety. 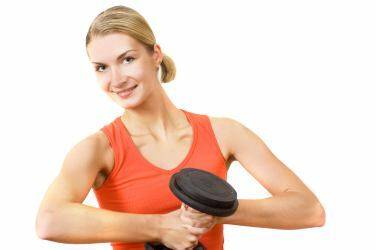 As we have discussed before a good fitness plan should include both cardiovascular and weight training exercises. This helps the body burn calories and increase the muscle to fat ratio that helps increase metabolism function properly. If you have never worked out on a regular basis before it’s important to start slowly and build up your endurance gradually. Doing too much, too soon can cause muscle strain weakness or even lead to injury. Making it impossible to continue exercising. Keep in mind that building endurance takes time and patience. - Reading books and other types of reading material on a daily basis keeps your mind sharp just like working out keeps your body in shape. - Work no matter what kind it is produces stress. Reduce this stress by taking the time to do something relaxing like taking a walk, soaking in a hot tub, shopping or watching a movie. - Pollution is something we can’t do much to control, given the size of the problem. But what you can do is make sure you protect yourself. For instance, always put on some form of sunscreen or use beauty products that contain antioxidants that protect the skin from damage. - Another way to stay healthy is to give up some vices. Most people smoke and drink. As we well know, smoking has been proven to cause lung cancer and other diseases as well complications for women giving birth. Excessive drinking has also shown to do the same. So do your best to keep both to a minimum. - For people who don’t smoke, it is a good idea to keep your distance from people who do whenever possible, because studies have shown that nonsmokers are also at risk of developing cancer due to secondary smoke inhalation. - Lastly, it is always best to start the day with a positive outlook. Just as studies have shown that exercise makes a person feel happier, smiling produces the same effect. A smile can do a lot and it is contagious in a positive sense. It will brighten your day and the day of others as well. On another section of this site I will cover how to set up your actual home gym so that you have a decent work out area. You can already checkout our sections here on fitness for Burn Fat Workouts and also for Pilates and Yoga. It is simpler than you think and does not require a lot of investment to get started with a home fitness program for beginners. Below I will be adding good resources and featuring workout and home gym equipment as I come across products I think are good value. 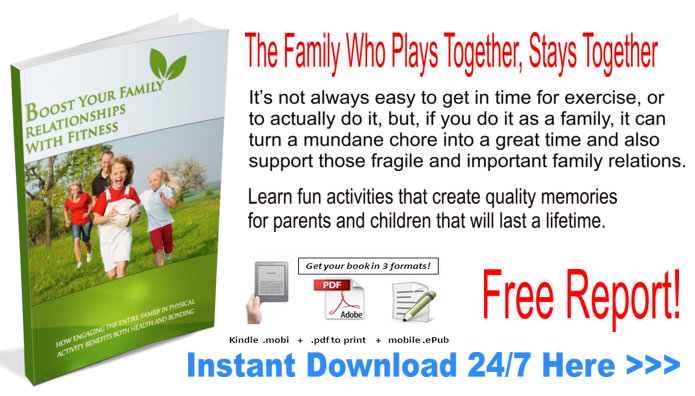 When designing a home fitness program, make sure you include all the family! Below here I'm featuring more pages with helpful how-to-do-it tips on this subject of preparing for and setting up what you need in creating a home fitness program for beginners. Is Endurance Exercise Right for You? Can Heart Rate Training Help Increase Your Endurance? Strength Training or Endurance Training - Which Do You Need? How Often Should I Workout For The Best Results? Why Should You Join a Zumba Class? Back to HOME PAGE of this home fitness program for beginners section of the site.